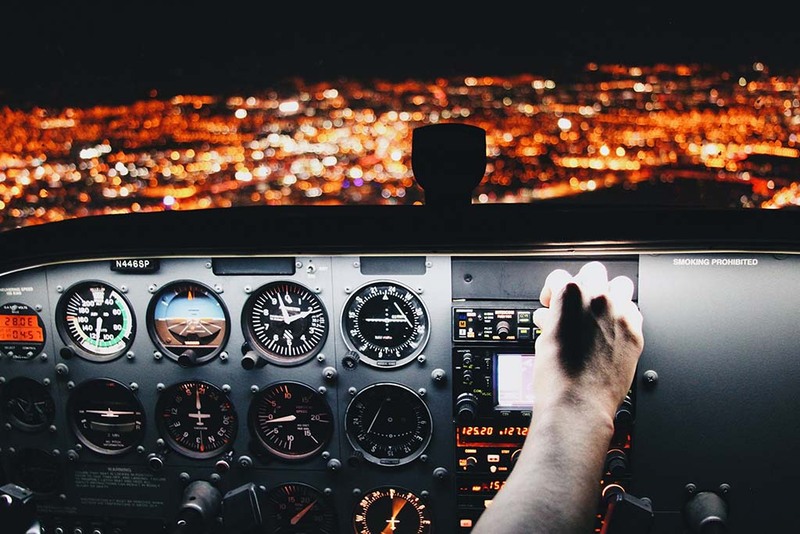 During the initial evaluation, establishing the cost of exporting within a limited range may be sufficient to estimate the viability of a transaction. 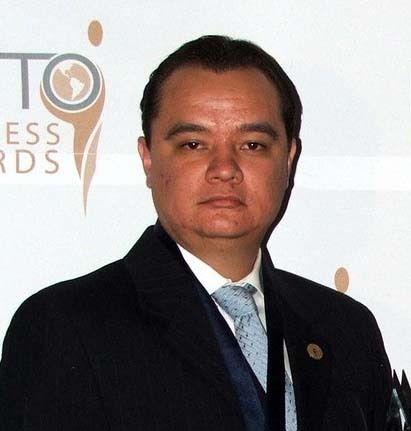 Exporters must determine, as precisely as possible, the cost of exporting products. They must consider all real costs to be included and add the profit margin. The terms of sale negotiated with the importer will also affect the export cost. Exporters can determine the cost of the product according to different Incoterms® rules (such as CIF or FAS), and then negotiate the most suitable terms. 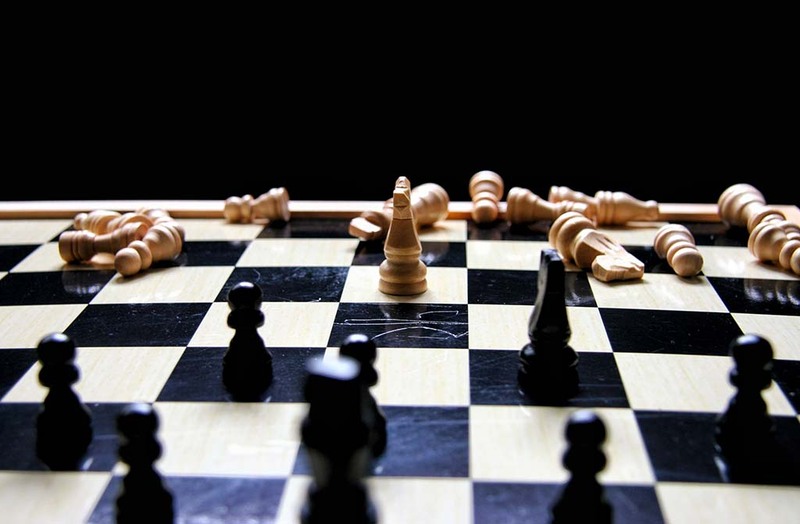 These negotiations will affect the procedure for determining export cost. 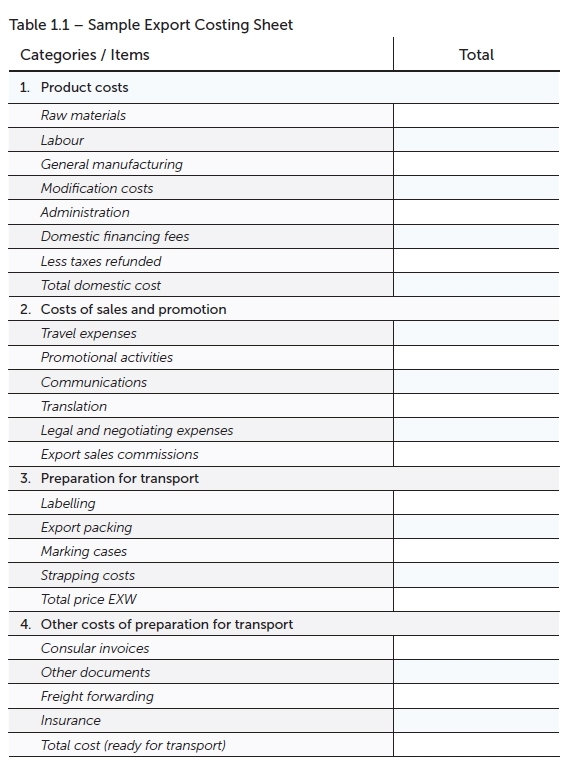 An export costing sheet details the costs involved in supplying goods to a foreign importer. 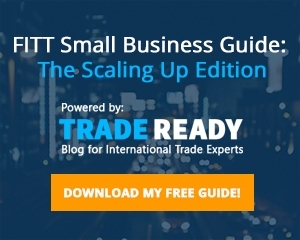 Completing this document enables the exporter to quote a price that will cover all the costs involved in a transaction—including transportation, commissions, fees, customs, financing and foreign exchange costs, and the profit margin. The costing sheet itemizes all costs and produces a bottom line that enables the exporter to establish a viable selling price. This process can help the exporter find out where they will incur costs and where they might reduce or eliminate expenditures. 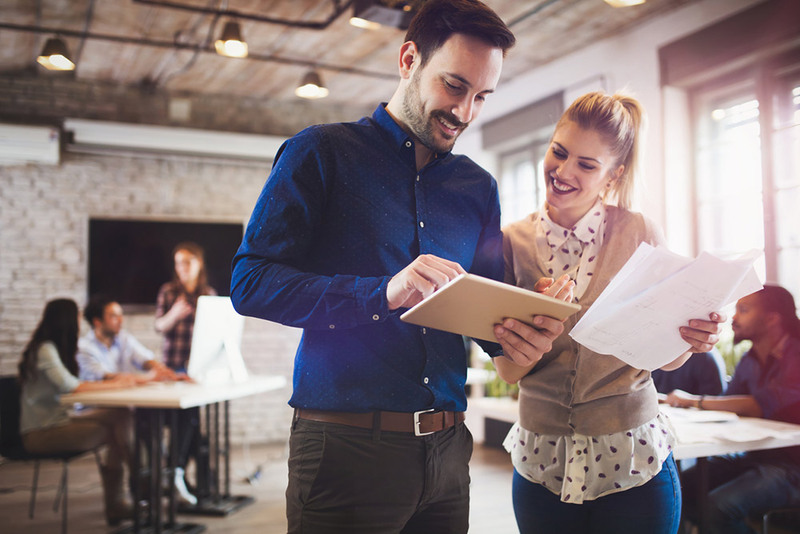 The U.S. Small Business Administration has costing worksheets available as part of its free downloadable Export Business Planner. New Zealand Trade & Enterprise has costing sheets as part of its Thinking about Exporting. Ontario Association of Trading Houses has an advanced online export costing calculator. ExportHelp in South Africa has online information and costing sheets. 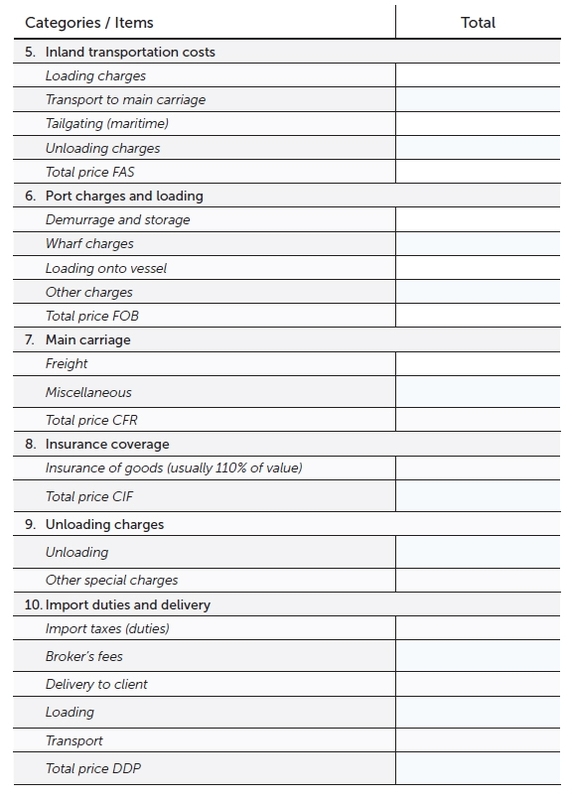 The following sheet provides an example of an export costing sheet designed to be as comprehensive as possible. Not all the costs listed are relevant to every transaction, but organizations should recognize the wide range of factors that can affect the bottom line. Either view it below directly through this article, or click here to download your very own Excel copy to refer to anytime you want! You should treat a export costing sheet as a working document. Its purpose is to test different approaches and assumptions on an ongoing basis, refining the calculations to determine the best solution. The ultimate objective is to reach a competitive price that yields an acceptable profit for the exporter, meets the needs of the target market, and does not sacrifice key steps or essential elements in the process. Knowing which elements to adjust is as much a matter of common sense as it is of trading experience. One of the advantages of this type of costing sheet is that exporters can determine the cost of exporting in accordance with different Incoterms® rules. 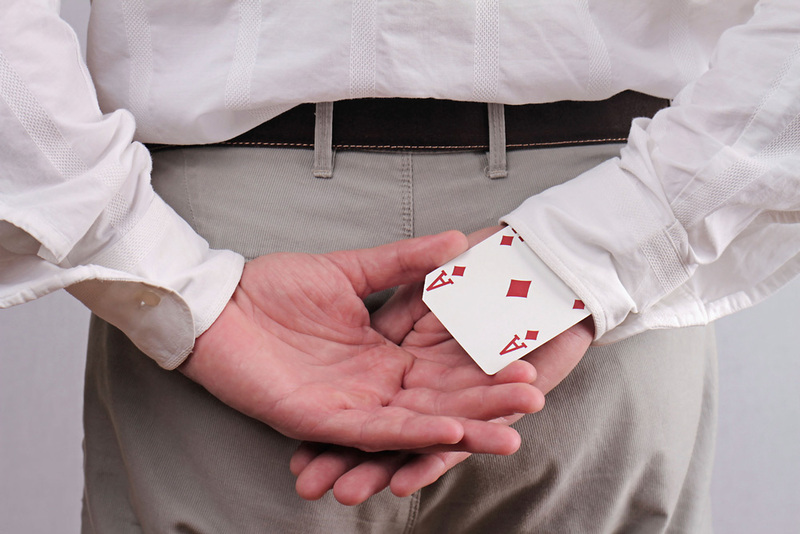 This will help exporters prepare for negotiations with prospective importers. 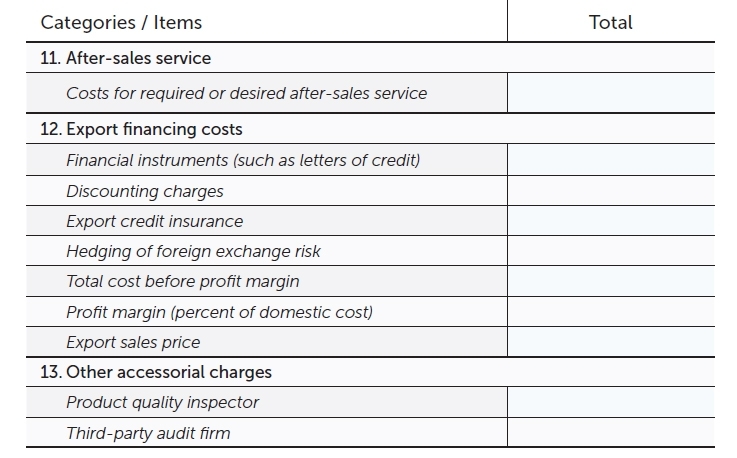 This illustrates a comprehensive, but generic sample costing sheet. While most of the terms used are commonly used or self-explanatory, here are clarification on a few that are used less commonly or can be interpreted in multiple ways. Plant overhead: This relates to the costs directly associated with production, such as property taxes, electricity and depreciation. Administration: This includes costs for items such as legal and accounting services, employee salaries, etc. Duty drawbacks: The cost of a product should also take duty drawbacks into account. For example, Canadian duties and taxes paid on imported materials or components included in the exported product are eligible for a 100 percent duty drawback, provided the company exports the finished product within four years of the date of entry of the materials into Canada. The appropriate customs documentation must be submitted to the governing authority. Export packing: Special or additional packing may be required to protect goods from damage or spoilage. Most damage in transit, and much theft, is due to improper packing. 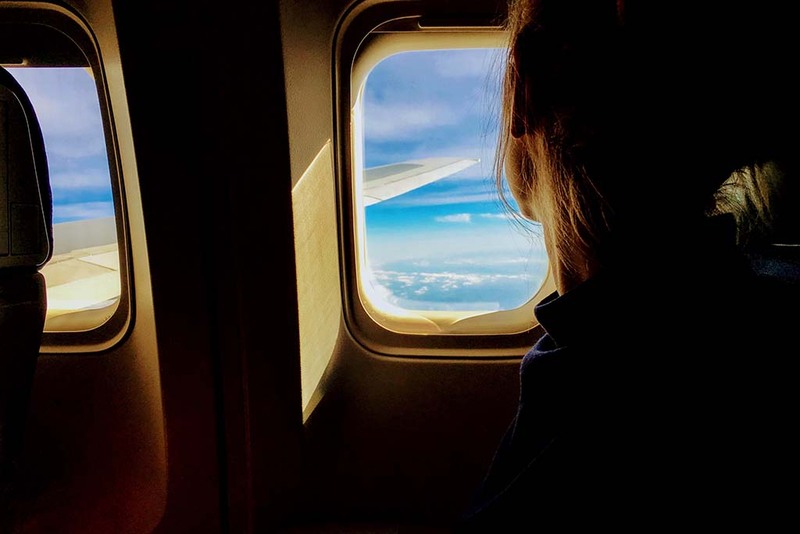 Exporters must consider two main factors when packing: safety (preventing damage, theft and deterioration) and economy (using the best packing methods given the cost, weight and volume of the shipment). The packing used will depend on the type of product and mode of transport used. Labelling: Most countries have highly specific labelling requirements that impose added costs on the exporter. Normally the importer provides precise instructions on labelling requirements, including specifications as to language, product descriptions and country-of-origin markings. Marking cases: The cost of marking the cases that contain the exported goods. There are usually several markings on the outer packaging. Some provide directions for the carrier, and others are for the benefit of the importing country. These instructions are essential for efficient shipping. They must be highly visible, indelible and translated into the importer’s language. International symbols can be used to make the meaning of the markings clear. Strapping: The cost of strapping and binding the cases, pallets or other types of containers that hold the goods. Price EXW: The price the exporter charges if the importer assumes responsibility for picking up and transporting the goods from the exporter’s premises. The cost includes loading goods for transportation to the port. Freight to seaport: The goods must be transported from the exporter’s premises to a dock at a seaport for loading onto a ship. The cost depends on whether road or rail transportation is used. Either mode may be appropriate, depending on the type and amount of goods and the distance they are travelling. The exporter may require insurance up to the point where the importer becomes responsible for insuring the goods. Freight to seaport may also include loading charges, as well as the cost of the transportation itself. Consular invoice: The consular invoice helps the importing country’s customs service assess duties, clear the goods and gather trade statistics. The consular invoice must be completed on a prescribed form, and is purchased from the importing country’s consulate. It consists of several copies in the language of the importing country, and frequently includes English translation as well. The information required is usually similar to that on a commercial invoice, except that a breakdown of the CIF price is normally needed. The complete signed invoice must be submitted to the appropriate consulate for legalization, along with one original bill of lading and one commercial invoice. The consulate charges a fee for this process. The invoice must be carefully completed, since there are penalties for errors or for corrections made to the text. If a change must be made to a consular invoice that has been legalized, a letter of correction is required. 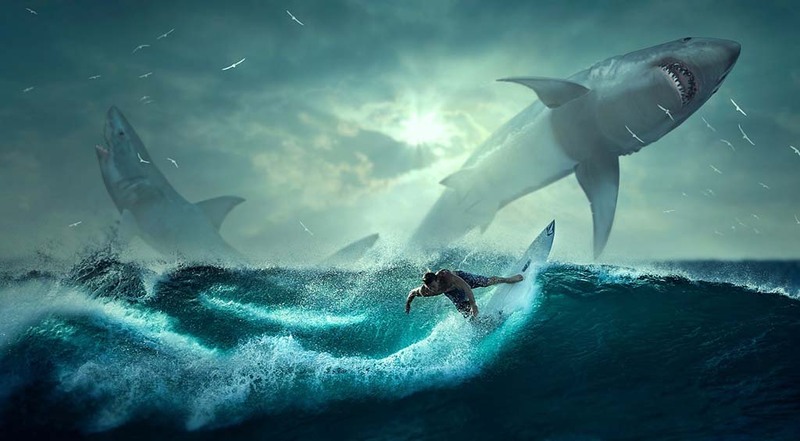 Hedging of foreign exchange risk: This is the cost of protection from fluctuations in foreign exchange rates through methods such as forward contracts, futures and options. This content is an excerpt from the FITTskills Cost and Pricing Analysis online workshop. Sign up for the workshop today to learn how to analyze your finances and make sure you’ll remain profitable for years to come! Interested in a broader look at the topic that also includes situational analysis and risk analysis and management? Then the FITTskills 7th Edition Feasibility of International Trade course is for you! 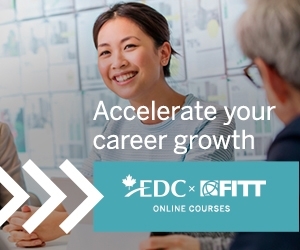 Sign up for the course today to enhance your understanding of assessing your readiness to take on new global business opportunities, take the next step in your career and thrive!